Abbott, the largest drug company operating in India in terms of domestic market share, following the acquisition of Piramal Healthcare's formulation division in 2010, is setting up an Innovation and Design Centre in Mumbai, which will take off next year. At a time when multinational drug companies are scaling down their research and development investments in India, citing lax patent rules and increasing regulatory interventions, the US based multinational Abbott is planning to make India its global hub for innovation and development (I&D), in branded generics products. 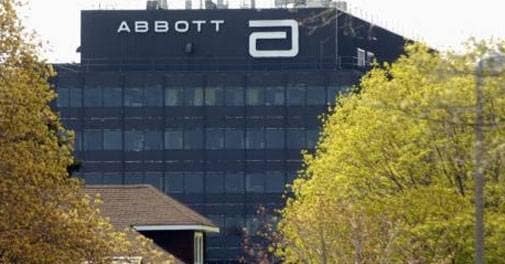 Abbott, the second-largest drug company operating in India in terms of domestic market share, following the acquisition of Piramal Healthcare's formulation division in 2010, is setting up an Innovation and Design Centre in Mumbai, which will take off next year. "This centre will cater to the needs of 30 plus markets, including India and will operate as a 'hub and spoke' model for global solids and research and development platform technologies for established products," confirmed Bhaskar Iyer, Vice President, Established Pharmaceuticals Division, Abbott and head of Indian operations. Sources said currently the over a billion dollar turnover Abbott India has a 50 member scientific talent here and plans are to double the headcount in the next two years. These will be in pre-clinical, formulation, analytical, bio-studies, regulatory and packaging functions. Abbott is planning to set up the I&D Centre at a larger facility of over 100,000 sq. feet. in the outskirts of Mumbai in early 2018. It will have a pilot plant for registration batches for oral solids as well as clinical trial batches. Clear guidelines and consistent application of IP framework will provide better visibility to innovators, as they explore ways to make new drugs and innovations available in India, Mike Warmuth, Executive Vice President, Established Pharmaceuticals Division, Abbott had recently said at the Organisation of Pharmaceutical Producers of India (OPPI) golden jubilee meeting. In recent years, multinational companies like Daiichi Sankyo and Novartis had scaled down Indian research and development projects and programmes.